Fasting sometimes can be thought of as exclusively for religious purposes. But the truth is, everyone fasts on a daily basis. That period of the day where you and your body are resting and not eating for (hopefully) at least eight hours straight, is in fact a period of fasting. The fact that you are breaking a period fasting, is what makes breakfast the “most important meal of the day” as we all have heard at least once throughout our lifetimes. The act of eating breakfast isn’t only what makes it important but what you are breaking your fast with is just as important. But as we mentioned before, what you are indulging in at breakfast time is just as important as not missing out on it. First, we should keep in mind that at the typical breakfast hours, your body is performing its heaviest detox for the day. It would be logical that your breakfast should support this detoxing process and not hinder it. Your breakfast should also not leave you feeling sluggish or tired after consumption. Another important factor that ties into choosing your options to break fast with should be your energy levels. Your breakfast should ideally be able to fuel your body for your entire day. 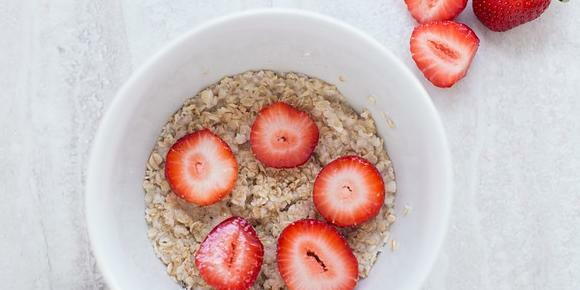 When your body has to digest food and extract nutrients, it takes away your energy; so it should be noted that easily digestible food would be the optimal option for your breakfast. Fresh, hydrating fruit tend to be the most easily digestible food group for most people. Incorporating protein into your breakfast meals is another good habit. Protein allows you to feel fuller longer, which will cause you to eat less and feel less hungry throughout the day. Smoothies are another great breakfast option. The best aspect about smoothies is that the food is raw and already broken down for the most part, so your body has to do much less work to absorb the nutrients from the smoothie and pass it along through your system. Smoothies are also one of the easiest ways to incorporate your recommended daily fruit and vegetable intake. They are so versatile and you can make them to satisfy your own tastebuds, you get to have total control over what goes into it. You can even add your protein, fiber or healthy fats directly to your smoothies. They are also naturally a great source of fiber without any addition of it. Smoothies are one of the best options for breakfast because it also takes the stress out of figuring out what to make for breakfast, and cooking it, when you become accustomed to just throwing ingredients into a blender for most of your mornings. Fruit, as we mentioned, is another great food to break your fast with, just be sure to eat enough so that you are full and stay full. Fruit is generally full of water which combats dehydration in your body, which can be at the root of numerous ailments. Water is also not a bad option for being the very first thing that your body consumes for the day. Drinking a glass of water or two, before eating anything else in the morning, can be useful for regulating bowel movements, as well rehydrating your body to assist with better digestion when you do eat. Fasting is important and beneficial for your body to repair itself, and everyone fasts every single day while they are asleep. When we decide to break our fasts each morning, it is critical that we follow up that fast with foods that support the repairs our bodies have just made on itself.